The new blast and paint facility will allow blasting and painting operations to move into a controlled environment. BlastOne's engineering and equipment have enabled us to cut our particulate emission to zero while doubling our productivity. BlastOne International has commissioned a new blast and paint facility for VT Halter’s shipyard in Pascagoula, enabling the shipbuilder to prepare, blast, and paint ship sections in a controlled environment—regardless of weather conditions. 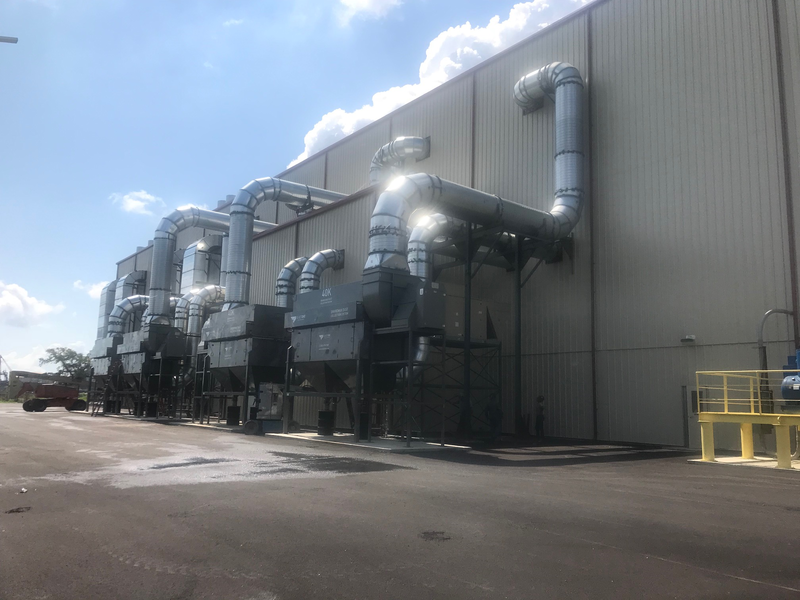 Tim Pryor, the Facilities Engineer at VT Halter Marine, says everyone involved is delighted by the outcome of project: "BlastOne's engineering and equipment have enabled us to cut our particulate emission to zero while doubling our productivity." 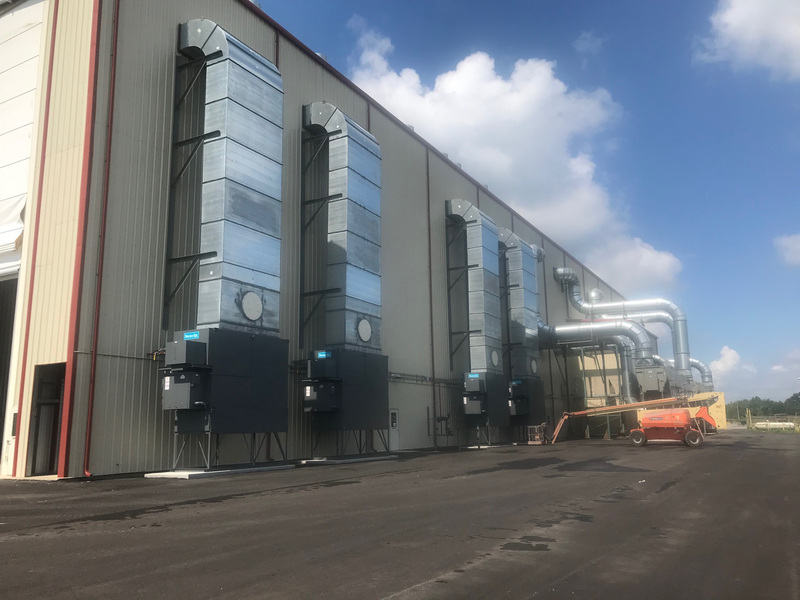 The new facility incorporates several new technologies to streamline production, reduce environmental footprint, decrease cycle times, and cut down overall blast and painting costs. The facilities are outfitted with specialized recirculating blast ventilation air to reduce energy consumption, dehumidification technology to maximize the number of operating days, and a unique flow design to allow ship sections to seamlessly move from blasting to painting. 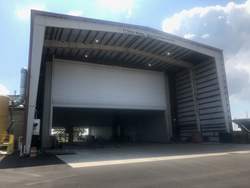 The new facility, located in the northeast corner of the shipyard, consists of a large 304’ x 120’ main building, with separated areas for blasting and painting. The facility can accommodate ship sections of up to 105 feet wide, 80 feet long, and 40 feet high—weighing up to 500 tons each. All the lighting in the facility is provided by LED bulbs to reduce energy costs, and the facility also features a built-in abrasive recovery system to enable recycling of blasting media and to cut down waste. BlastOne is the leading US manufacturer of Blasting and Painting facilities and equipment. They specialize in designing, building and maintaining blast and paint facilities for customers throughout North America and on a global scale. Headquartered in Columbus OH, BlastOne International has 14 offices in 4 countries. Please visit https://www.blastone.com for further info. VT Halter Marine, a company of VT Systems, is based in Pascagoula, Mississippi and is a leader in the design and construction of medium-sized ships in the United States. VT Halter Marine designs, builds and repairs a wide variety of ocean-going vessels such as patrol vessels, oil recovery vessels, oil cargo vessels, ferries, logistic support vessels and survey vessels.